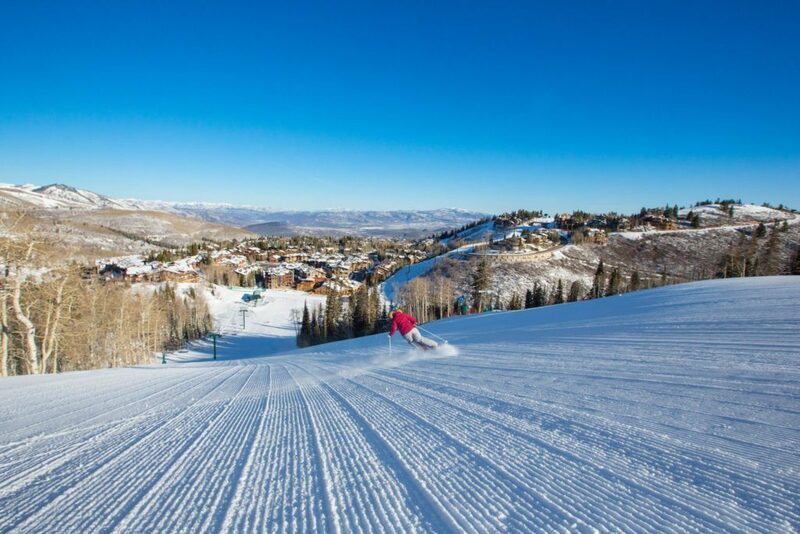 Locals know: Park City, Utah is a come-for-the-winter, stay-for-the-summer kind of town. Once the snow melts off the mountains, the fun begins with miles of biking and hiking trails, outdoor concerts, bustling farmer’s markets, and festivals. 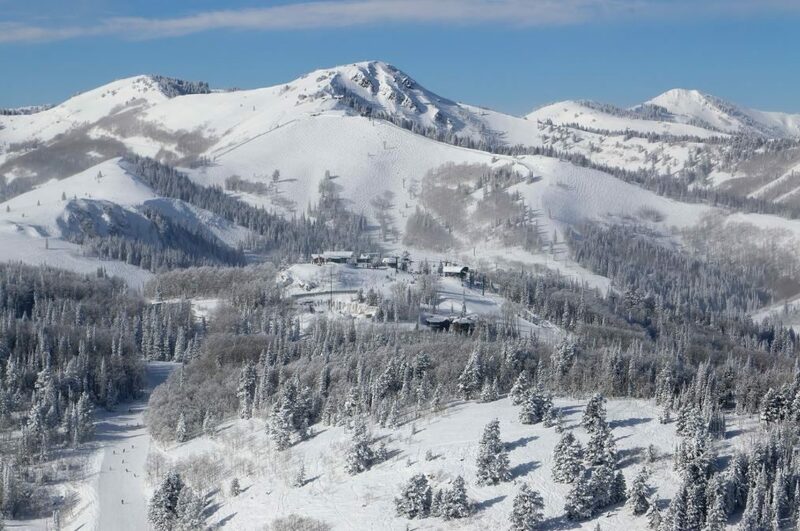 And best of all, it’s just 30 minutes from Salt Lake City. 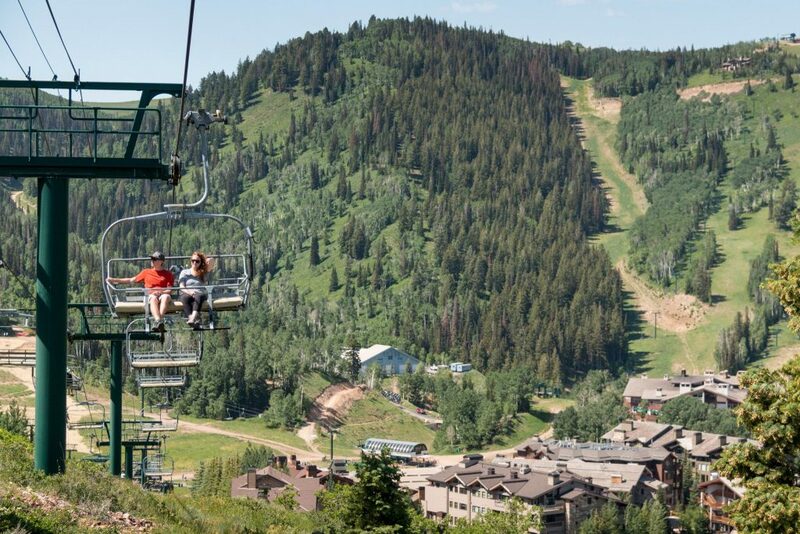 But shhhh—the winter crowds haven’t caught on to summer’s wonders just yet, meaning you can still score a great deal on a Park City summer staycation. 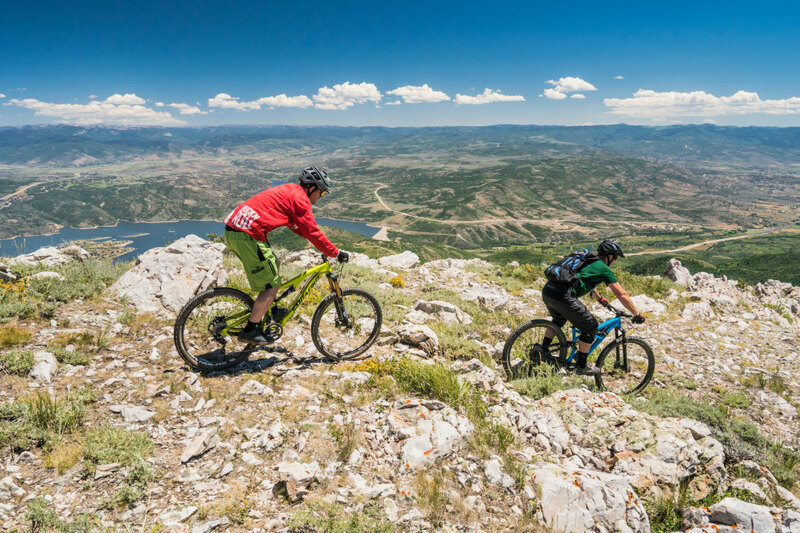 Take advantage of the quieter season and escape Salt Lake City’s summer heat for three days of hiking, biking, paddling, concert going, and relaxing in the mountains at Deer Valley Resort. Guests who book two or more nights of lodging at select Deer Valley Resort managed properties get 20% off their entire stay and a Deer Valley Mountain Activities Card worth $50 towards lift-served mountain biking, hiking and scenic rides as well as bike lessons, bike rentals and biking and hiking tours. Deer Valley Resort is known for its incredible mountain biking trails. Deer Valley Resort’s lift-served downhill mountain biking is legendary, and there’s no better place to kick off your Deer Valley® vacay than on their trails. B.Y.O. bike, or rent a high-end downhill model and safety gear at one of Deer Valley’s on-site shops. Even if you’ve ridden all the trails, there’s something original in store for you this season. Deer Valley’s newest expert downhill flow trail, Tsunami_,_ opens in sections this summer and challenges bold riders with big features like 10-foot berms, 25-foot tabletops, and giant jumps. If just the description of that ride makes you uneasy, don’t worry. Deer Valley’s flow trails are fast and fun for new riders and families. Try beginner-friendly Holy Roller if you’re brand new, or intermediate Tidal Wave* *if your skills are progressing. The Brass Tag is a Deer Valley favorite. 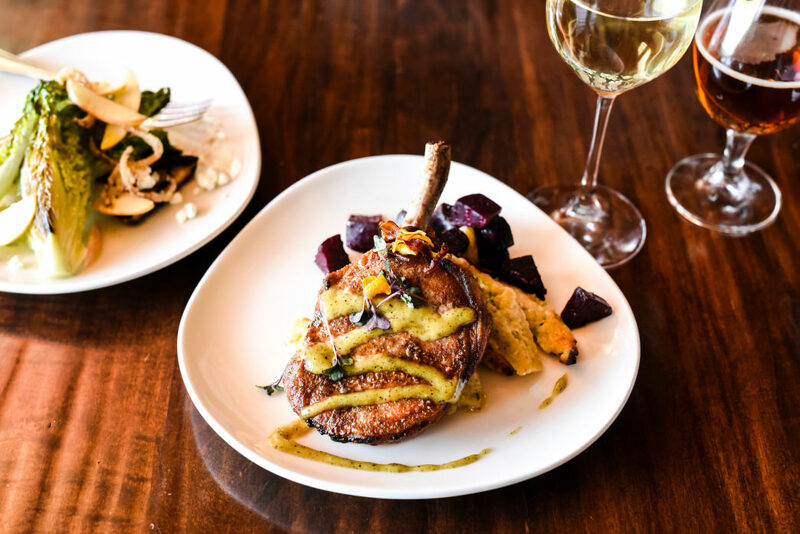 Once back at the base, head to The Brass Tag for modern comfort food and brick oven cuisine inside the Lodges at Deer Valley. Its hand-pattied namesake burger and oven-roasted pork chops are winning orders, but don’t miss the loaded potato chips. The oven-fired chips come stacked with creamy Gruyere cheese sauce, melted cheddar, fresh chimichurri, and applewood bacon that make them worthy of a splurge. 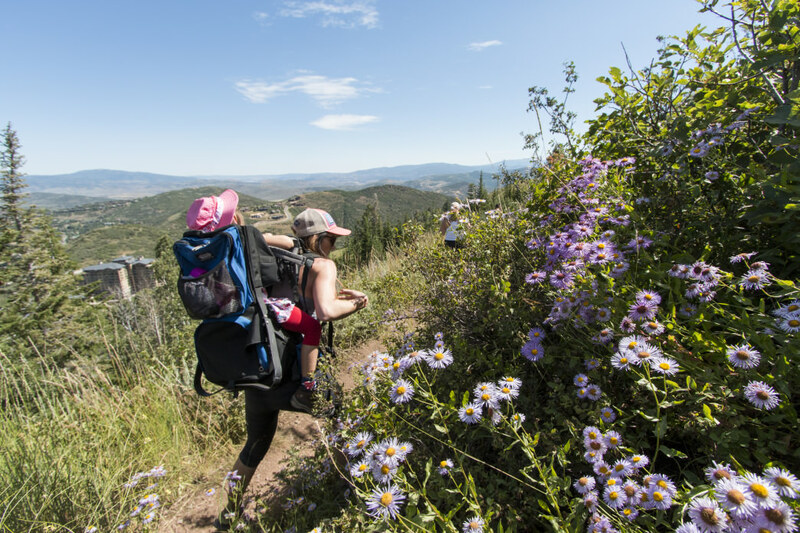 Hiking among the wildflowers at Deer Valley Resort. You’re well fed and well rested—time to hit the trail. From Silver Lake Village, follow the Silver Lake Trail up Bald Mountain, passing aspens and pine trees as you crisscross ski runs and continue up. The 2.5-mile trek brings you atop Bald Mountain for stunning views of Jordanelle Reservoir’s blue waters. Speed your descent with a free chairlift ride back to the Silver Lake Village base where lunch awaits. If you wore enough sunscreen, dine on the patio at Royal Street Café, just steps away from the chairlift. Try international flavors like tuna tartare or classic American fare like bison burgers and pulled pork sandwiches slathered with Polygamy Porter barbecue sauce. Wash it all down with a cold Utah beer. After a trek up the mountain, what you need is some relaxation. (This is a vacation after all.) Whether you’re staying at the Montage, St. Regis, Lodges, or Silver Baron—there’s a pool waiting for you. Dive in, soak in a jetted hot tub, or simply suntan surrounded by the Wasatch’s towering peaks before readying yourself for a night under the stars. Wrap up your active day with an evening concert on the lawn at Deer Valley’s Snow Park Outdoor Amphitheater. Bring a blanket or some lawn chairs and listen to popular touring artists, local bands, or the Utah Symphony as they take the stage to play for eager crowds. 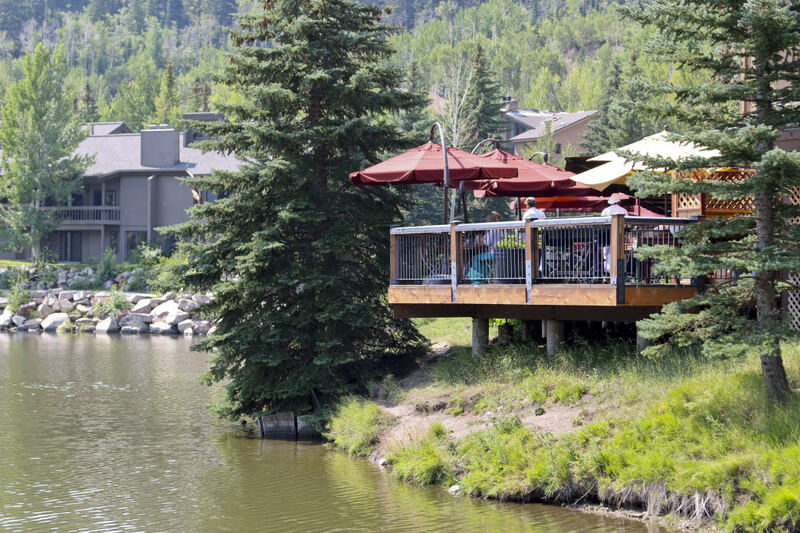 The deck at the Deer Valley Grocery~Café is a popular spot to enjoy a quick lunch. Get your concert picnic fixin’s and libations down the road at Deer Valley Grocery~Café, or skip the planning and order a gourmet basket from Deer Valley. Don’t expect your typical PB&J; each basket is filled with epicurean delights like chilled salmon, artisanal cheeses, signature wraps, fresh fruit, and you can even add a bottle of wine. Or stuff yourself silly and simply with a shareable order of Deer Valley’s famous Turkey Chili Nachos at the concession stand. Enjoying brunch at the Deer Valley Grocery~Café. There’s no need to rush today. 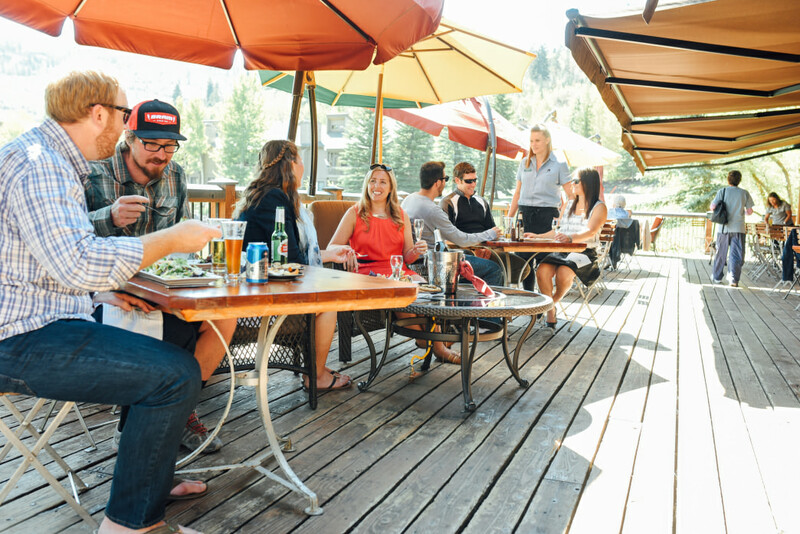 Sleep in; then head to the waterfront patio at Deer Valley Grocery~Café for a casual brunch. Order a locally roasted coffee and a trendy-but-worth-the-hype Avocado Beet Toast. 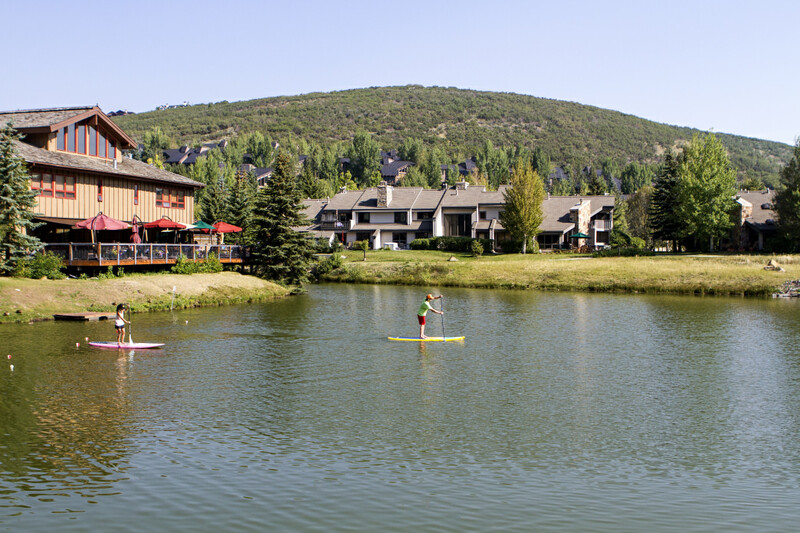 You can learn how to standup paddleboard on the calm waters at Deer Valley. Then, burn off all the calories with a paddle around the pond behind the café. Just step up to Park City SUP’s Pebble Beach shop to rent a standup paddleboard or sign up for a lesson. The calm, wave-free waters are ideal for learning and perfecting your paddling. Take it to the next level with a SUP yoga class. Held daily, the classes challenge your balance and core in whole new ways. Or say, “Namaste” on the shore and skip the on-water warrior pose altogether. Rather be in the water than on it? Don a pair of waders for a fly-fishing class with local outfitter, All Seasons Adventures. Take a field trip to world-class trout haven, the Provo River, and learn fly fishing and casting techniques from expert anglers. Once you can cast and reel, catch a brown or rainbow trout in the river’s pristine waters. If you head home on a Sunday, cap off your trip with a stop at Main Street’s Park Silly Sunday Market. Here farmers hawk organic apples, artists pedal handmade jewelry and scarves, and locals dine from eclectic carts. The Make-Your-Own-Bloody-Mary Bar and live music add to the festive vibe, and you’ll want to make it a Sunday tradition. After three days of fresh mountain air, return to Salt Lake City recharged for the week ahead—remembering that a mountain getaway is only 30 minutes away. 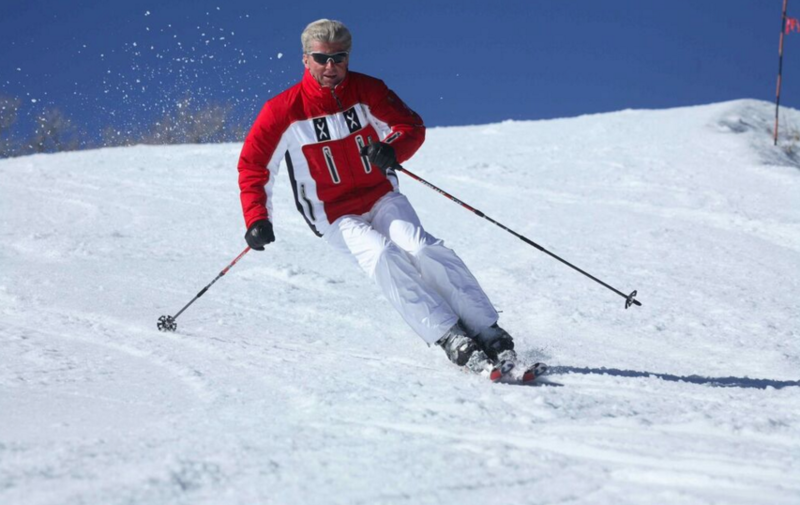 Originally written by RootsRated for Deer Valley Resort.